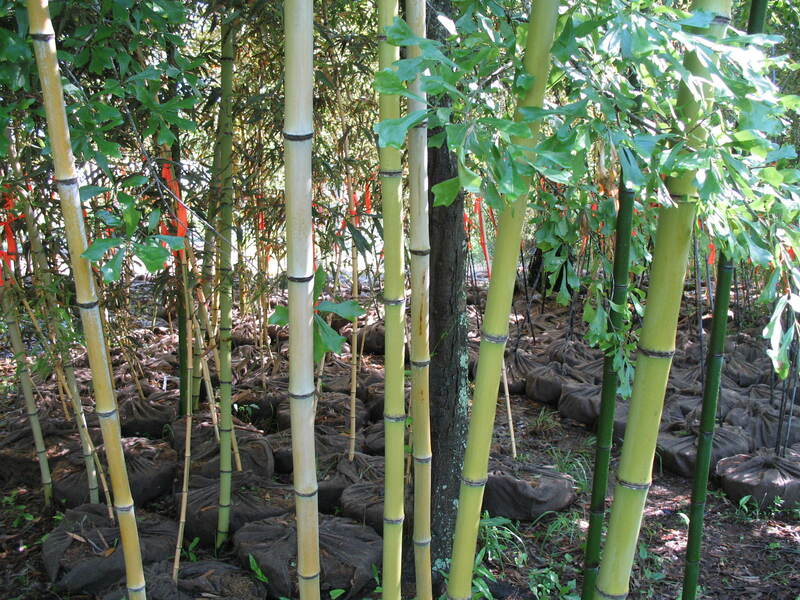 Comments: The culms are yellow with a green sulcus and sometimes bare an attractive red blush as the new shoots develop. It is also known for its tasty new shoots, which are often the first to emerge out of the ground in early spring. Random green pinstripes form on other parts of the cane, making its coloration wild and unpredictable.